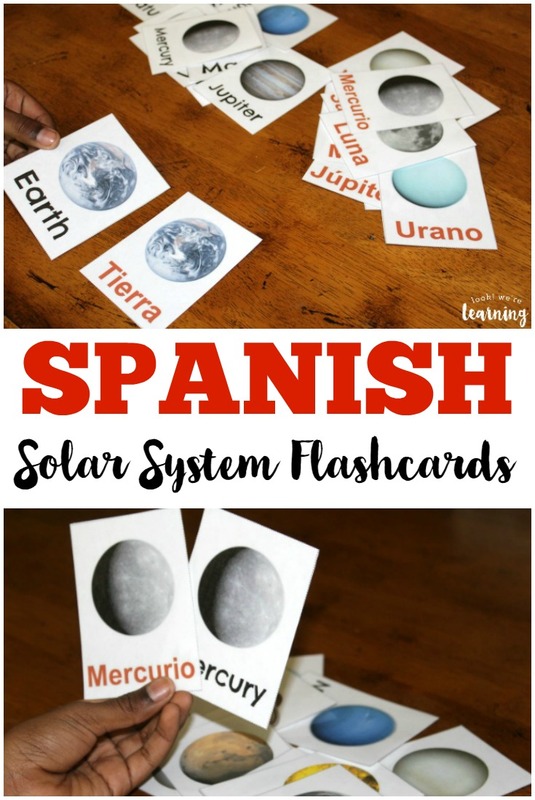 We love learning Spanish in our homeschool! 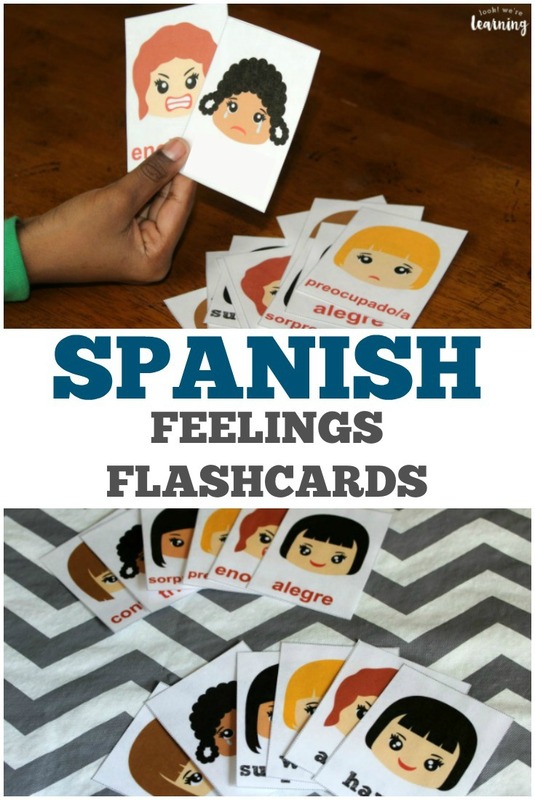 And we’ve been sharing printable Spanish flashcards on the blog over the past several months. This time, though, I wanted to share something a bit more extensive. 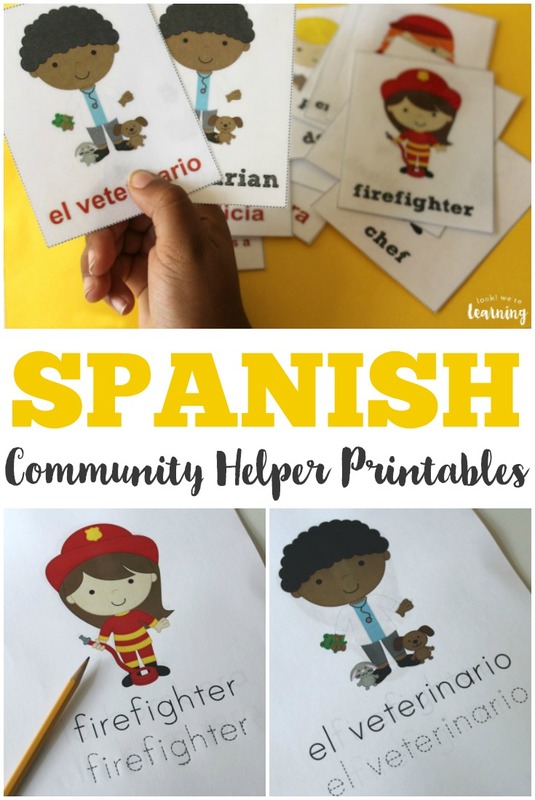 Which is how we came up with these Spanish community helpers printables! These are an excellent addition to a community helpers unit for preschool or early elementary grades. 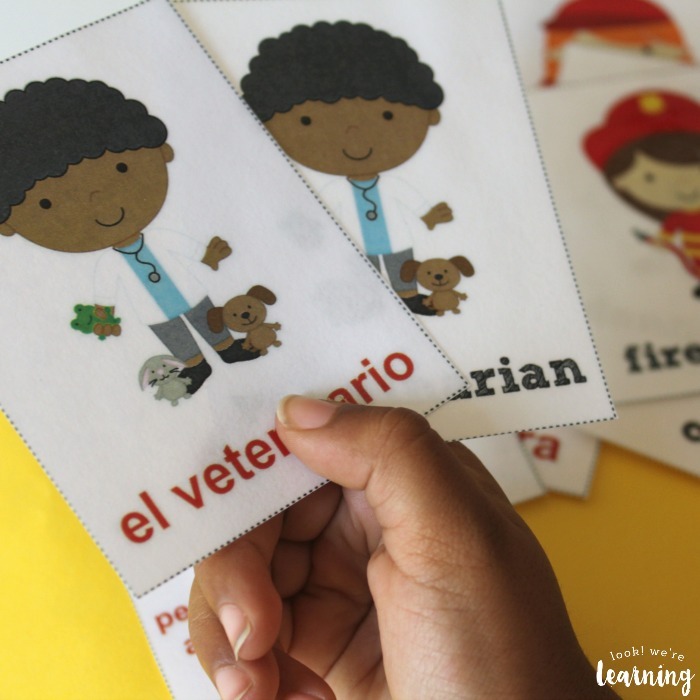 Or if you’re working on learning basic Spanish vocabulary with older kids, let them work with the pronunciation guide and flashcards for memorization! 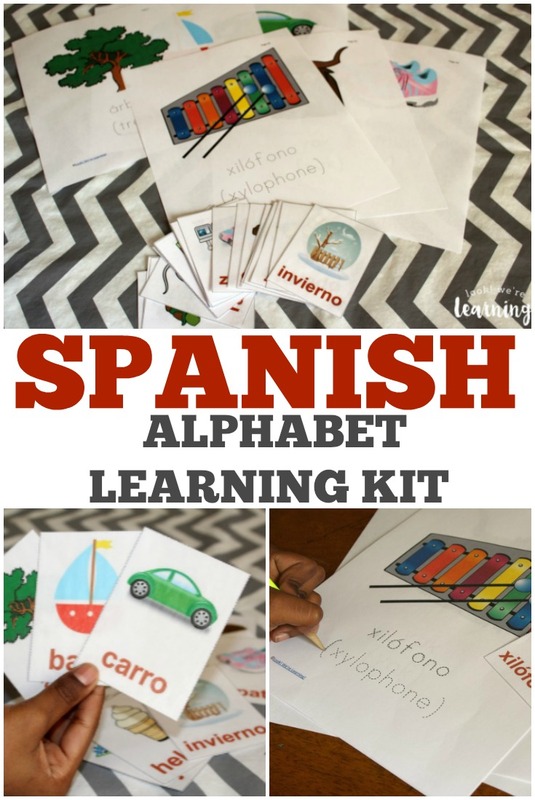 If you enjoy these, check out some of our other Spanish learning printables, including our A to Z Español Super Pack, our Spanish Verb Flashcards, or our Spanish Telling Time Worksheets! 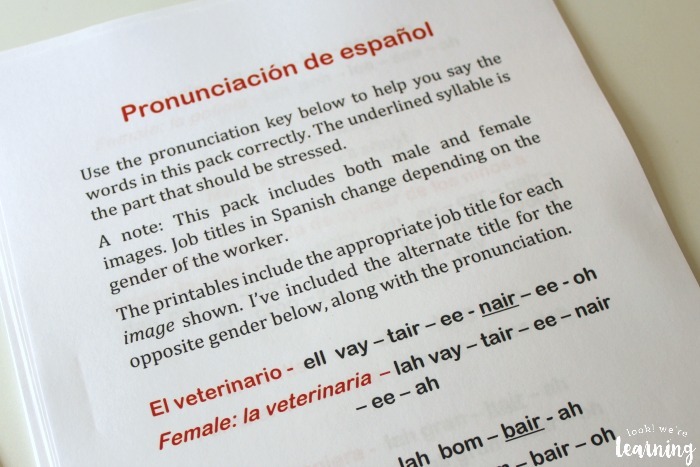 There are printable flashcards for each community helper in English and Spanish, as well as full-size pages with the English and Spanish words and traceable phrases for practice. One note: Some of the phrases are gender-specific. For example, the image of the firefighter is a woman, so the phrase is “la bombera”. If the firefighter is a man, though, the phrase would be “el bombero“. The same is true with the phrase for doctor: a female doctor would be “la médica“, while a male doctor would be “el médico“. A full pronunciation guide is also provided! 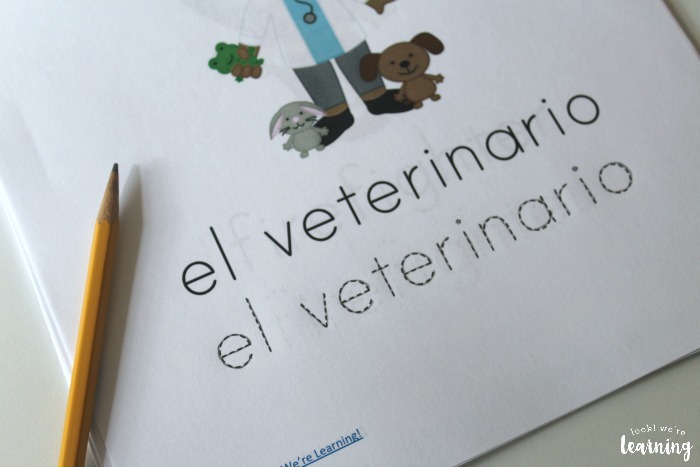 Using the flashcards is a great way to help kids memorize these words in both languages! 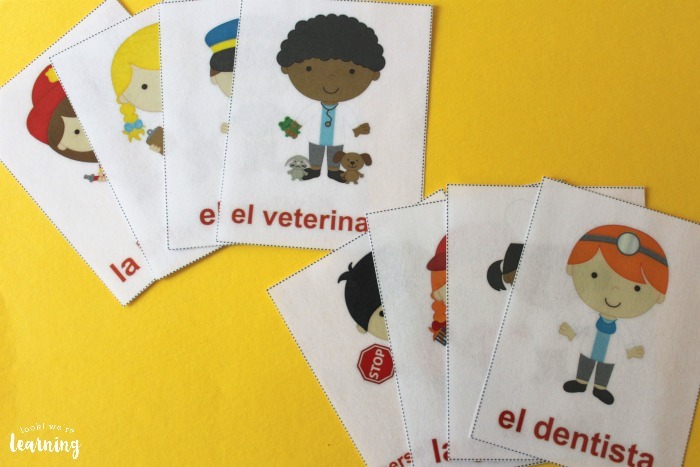 Kids can take turns matching the English to Spanish community helper words using the corresponding flashcards. 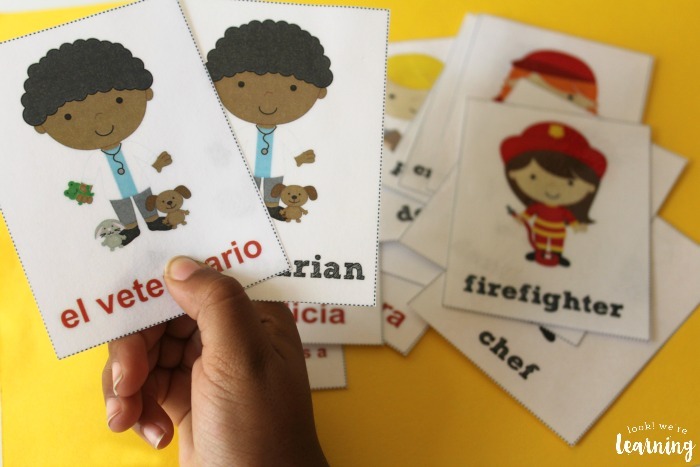 Plus, there are cards that have no pictures at all – to help them learn to recognize the vocabulary words. 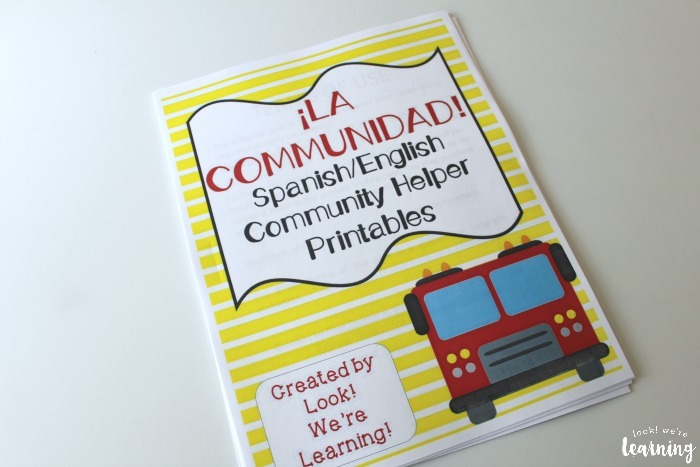 Scroll down to get your copy of our Spanish Community Helpers Printables! 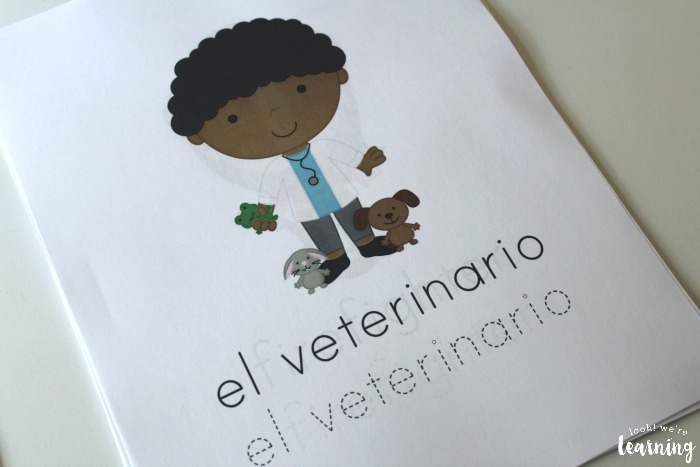 Ready to learn more Spanish with the kids? Try these learning resources! For more learning printables to use with your kids, follow my Homeschool Printables board on Pinterest! 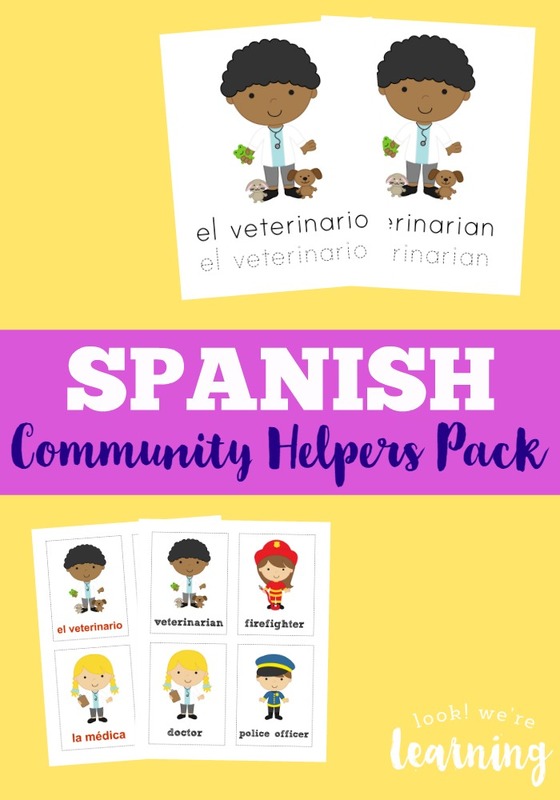 To get your Spanish Community Helpers Printables Pack, click the image or the link below to visit our Store! P.S. Get more ideas for learning with the kids in our email newsletter! Just use the widget below to sign up! 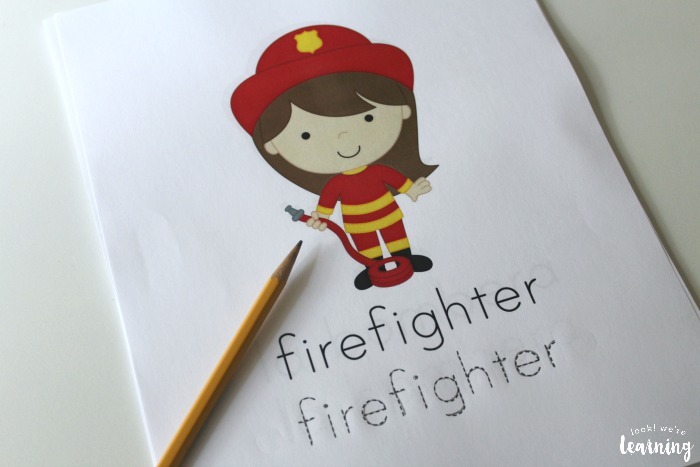 This post is part of the Community Helpers Unit Study Roundup! Check out these posts by my fellow bloggers!